The ultimate mobile English pronunciation aid for students and teachers. Based on the best-selling Macmillan title Sound Foundations by Adrian Underhill, Sounds helps you study, practise and play with pronunciation wherever you are. Available on Apple iOS (iPhone, iPad, iPod Touch) and Android devices. The chart shows all the sounds of English, divided into three sections: vowels, diphthongs (double vowels) and consonants. You can tap on a symbol to hear the sound, or tap and hold to hear the sound plus an example word. 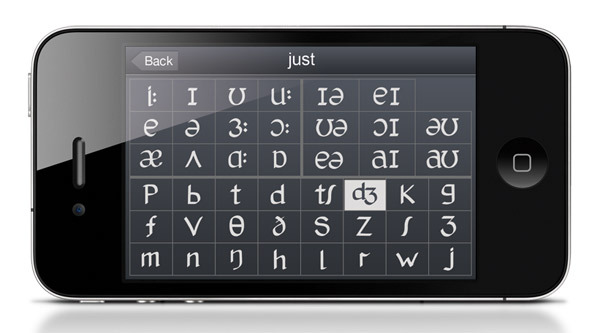 The wordlist included with the app contains around 650 items of vocabulary (in both British and American English), with their phonemic transcriptions and audio recordings. Scroll through the list to see all of the words, then tap on a word to hear it. Record your own pronunciation to help you improve and overcome problems with sounds. If you are you studying English using Straightforward and want to practise the vocabulary from your course you can purchase additional wordlists directly inside the app. You will see a list of all the available levels. 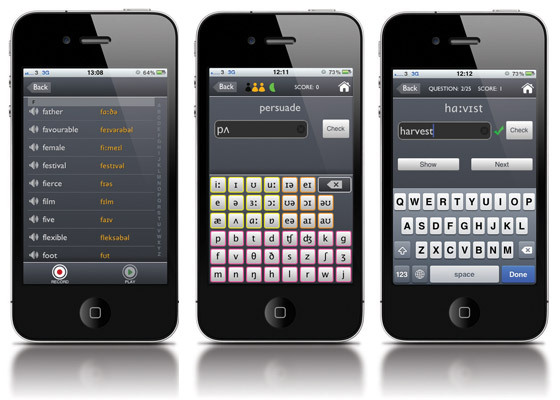 Once you have the wordlist you can use all the functionality of the app with your Straightforward vocabulary! We know that learning should be fun, and that’s why we’ve included the different quiz modes in Sounds. These are perfect for when you have a spare five minutes in your day. In Sounds you’ll also find three different practice modes. Just like in the quizzes, you can choose to focus on reading, listening or writing. Remember, with Quizzes you can work with the vocabulary from your level of Straightforward, once you purchase the relevant wordlist in the app. Wordlists cost just £0.69/$0.99 per level.